Yes, at 10PM last night I had spikes in my usage; I was doing laundry. The spikes are the clothes dryer switching it's element on and off to dry the clothes. Notice that the spikes are hitting around 7.5Kw? That's a heck of a lot of power. I do the drying at night in the winter to save some of the heat inside the house; not all of it gets blown out the vent into the air. Immediately to the right of the dryer, the heater kicked on and stayed on until 1:15AM. The heater uses around 4Kw, and since it was cold, stayed on for quite a while. Then there was a low period for a couple of hours with only the recirculation fans running before the heater kicked on again and ran until almost 9:00AM. Notice that the temperature took a quick upward climb at the same time? That's when the sun finally came up over the mountain to my East and hit the house. There was another period after 10:00AM where the wind got up and the cold breeze caused the heater to kick on again. When it was getting close to noon, the heater came on, but the peak demand controls I have built into the house kicked in and shut it off at noon. From noon to 7:00PM the demand is held low, less than 2Kw to save cost. Then at 7:00PM, the recirculation fans kick back in and start equalizing the house out again. The huge spike just after 8PM is me making a pizza. The narrow spikes in the period from noon to 7:00PM is me doing a little welding in the garage. Yes, I have projects that aren't electronic and require the use of tools bigger than a soldering iron. Some people may criticize me for the amount of power I use, but I didn't create these appliances that pull 10Kw doing some task. It takes a lot of power to run an electric clothes dryer, electric oven, microwave; people just don't think about it until the bill comes in. I've seen consumption at my house exceed 20Kw. When I have a cold evening and both heaters are on, I have clothes in the dryer, and decide to bake cookies, the usage can easily top 20Kw in short intervals. Do you realize that is more than 200 amps coming in the power lines? And this is not an unusual thing for people to do. Now, do you understand why I have automated controls in place to keep this in check? Heck, I complained to one of my neighbors about my power bill coming it at around $117 last month. I actually thought they were going to attack me. It seems their bill for last month was a little over $350. A couple of months ago the power company wanted me to install a smart meter to, "better control my power usage". I asked them to pull up my records and take a look at them over the phone. The 'Energy Usage Advisor' was astounded at the controlled usage my bill reflected. I asked him to show me an example of what their smart meter with household controls could do....crickets chirping.... No, they couldn't show me anything that even came close to the level of control I already have, and I ain't even close to being done with the project. See, the power company wants to control the temperature inside my house, limit the usage of large appliances, and put special controls on my swimming pool to "Save me money and lower my carbon footprint". Yep, I'm going to let that happen (not). I'm not going to get into one of my lectures about letting a corporation control anything inside my house. How things like 'carbon footprint', 'impact on environment', and 'delayed usage' I consider to be buzz words that let them get into and try to control my life for their benefit. Heck, if they had built the power plants back when they were cheaper, before inflation and needless regulations force prices to skyrocket, we might not be in this mess. But, no, they wanted to delay it as much as possible. Needless to say, I don't have a smart meter at my house. If I did, these smart meters use Zigbee communications to control things. Heh, heh, I have a full dozen Zigbee devices in my house; how long would it be before I was feeding them the data I wanted them to see. Have a nice day power company 'Energy Usage Advisor'. How did you create that usage graph? It looks just like the graphs that Google uses to show stock quote over time, and I really like their interface, and how you can easily zoom to different levels of detail. That's exactly what I used to create the graph. Turns out that the google graph API can be used for darn near anything you want to graph. It takes some work and experimentation to get it to work, but really nice once you do. The one on this particular post is a screen capture of a graph I use almost daily to track my power. I have a web page saved on a cloud server that I load to look at the latest graph. I used a capture to save the particular day I wanted to talk about. Good to know, I didn't know there was an API for the graphs. I just got a data logging OBDII reader for my car (tracks location, MPG, throttle, RPMs, speed, etc.). I was trying to decide how to visualize the data, and this could be perfect. Thanks! Great examining the power of usage. What are you using to monitor the usage? BTW, I just found your blog looking for info on controlling my swamp cooler with a Raspberry Pi, and as a fellow desert-dweller I'm really enjoying reading! Doh, just found the tab describing it in gory detail -- nevermind! Heh, heh, glad you found it. I haven't set up controls for my swamp cooler in the garage yet. I decided to attack the big users and the A/C was the biggest, followed by the swimming pool. Yeah we only have the swamp cooler, and it drives me crazy how we have to manually manage it all the time -- cooler outside than inside? vent mode. Hot and humid? Off. 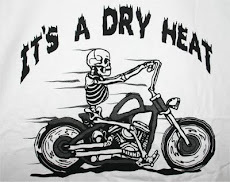 Hot and dry? On, high fan. Etc. Seems ripe for scripting. You have a cool opportunity here. Get one of those combination humidity and temperature sensors and put it in the shade of the swamp cooler. Then you can monitor the temperature outside and the humidity, compare it to the inside temperature and turn the cooler on and off based on parameters. You can also decide based on temp if you want to run the fan without the water pump to just move some air around on those humid monsoon days we're having right now. You can also put a timer on the drain to remove the water after some period of time to get rid of the calcium build up. I actually put a separate pump in the swamp cooler to drain the water out after six hours of use to keep the calcium level down. This removed ALL the calcium build up from the inside of the cooler. Didn't do much for the dirt that accumulates though, I still have to rinse that out periodically. One other thing. Home Depot (and other places) have a zinc anode that can be added to the cooler. You toss the anode in the water and hook a wire to the frame of the cooler. This practically eliminates the rusting and some of the other corrosion that happens in the cooler. When you put it in, go around the cooler and make sure there is electrical contact between the various metal parts. I had to add a couple of screws where the paint insulated sections. It really cut down on the maintenance on my cooler.